I’m back in California after a week at home in North Carolina. 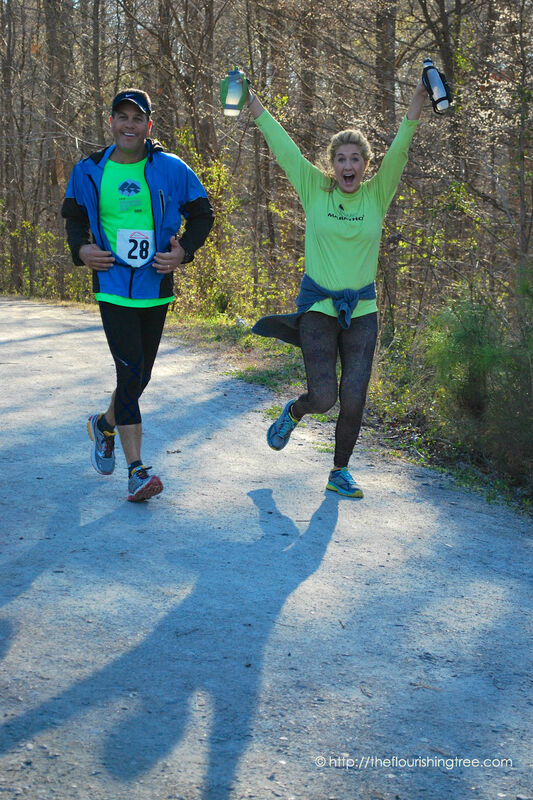 My husband and I were there to help with a 100-mile race that runs along the trails of beautiful Umstead State Park. My husband is the captain in charge of the remote aid station on the course—one of two aid stations and the only one without electricity and running water. I help out as needed and also take photographs. Saturday’s weather presented challenges, though, and rain kept me under the aid station tent for longer than I had hoped. The creek may have been happy about all the rain, but the runners got tired of it pretty quickly. An aid station is a thing of wonder during an ultramarathon, a hive where the full range of emotions can be on display at any given time. This is probably the most exhausting weekend my husband and I experience each year, but it’s also an amazing testament to the indomitable human spirit (and bodies, too). It has become an annual family reunion of sorts for us, and we look forward to hugging old friends and making new ones with each year’s race. Though our bodies are crying out for sleep, our minds are busy processing this year’s race and already swirling ahead to what we’ll keep the same and what we’ll do differently at next year’s race. Because this is the first day back at my computer, it’s my first chance to sit down and do something useful with the 1600+ photographs I took Saturday. I feel like I have miles to go before I sleep, a different sort of miles than the runners faced, but still, a task ahead of me before I can rest. I hope you won’t mind if today’s post is shorter than usual. 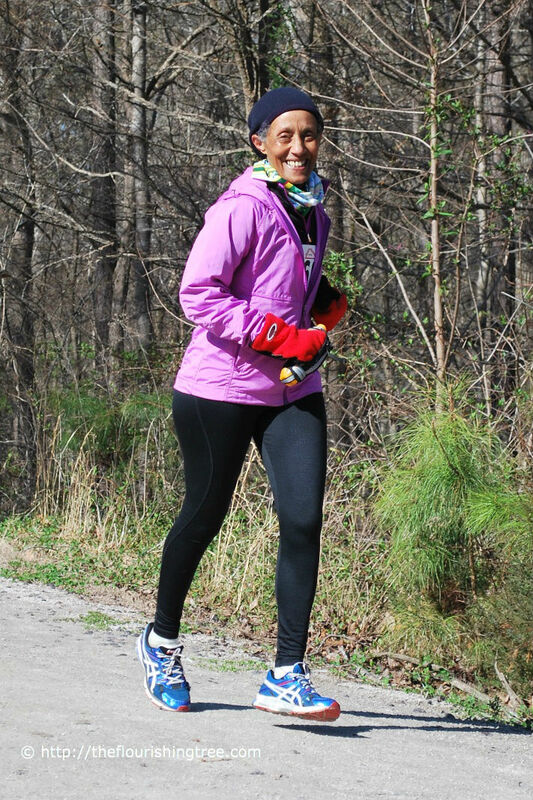 I want to get the photos to the runners as quickly as possible to celebrate their accomplishment, to help them remember fleeting moments of the long race, to honor them for their inspirational efforts. How about you? What tasks do you have that mean miles to go before you sleep? Are you doing them out of love or necessity (or both)? 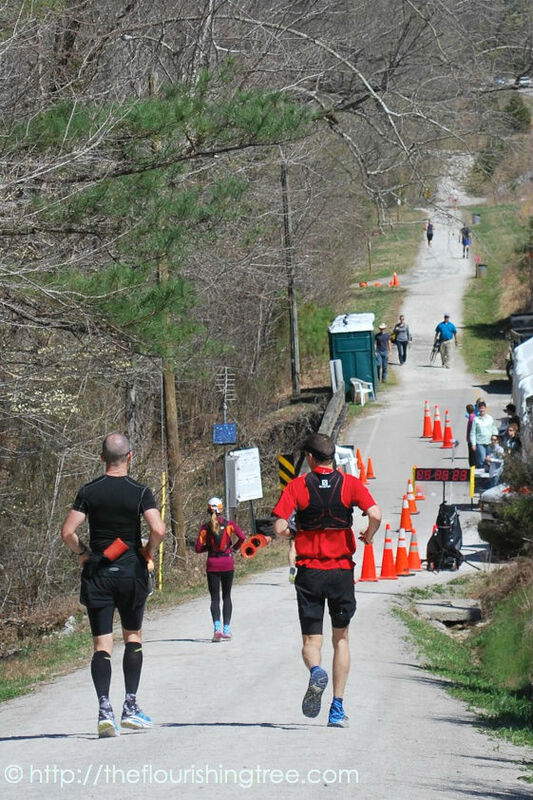 This past weekend, my husband and I volunteered at a 100-mile endurance run. It’s the one my husband ran last year, and it always brings out amazing runners and volunteers alike. Runners heading down the hill toward one of the well-stocked aid stations. You can see volunteers waiting to fill up bottles and hand out food. Two weeks ago, I promised a post about an inspiring couple who ran the same 100-mile race as my husband. Today, I’m excited to introduce you to Bill and Sally Squier. Theirs is a story of endurance – in love and in running. Theirs is also a story of inspiration and encouragement. 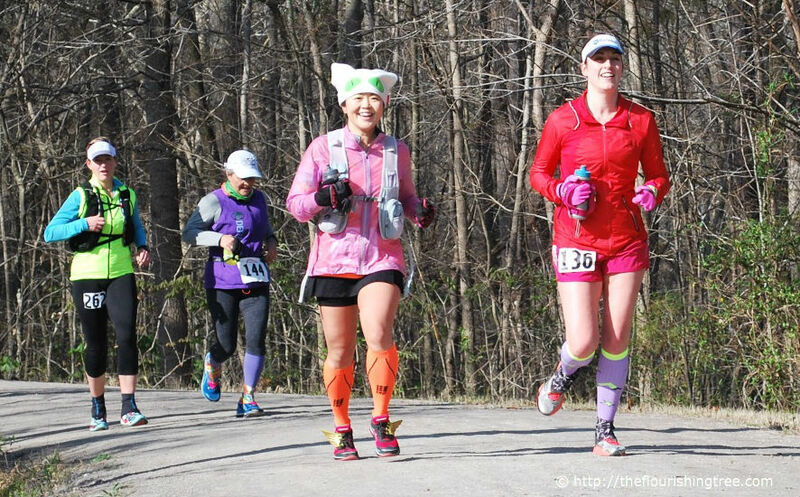 I’m not completely sure, but if I had to guess, I would bet that I first met Bill and Sally out in the woods at the headquarters aid station for this 100-mile race, an aid station that bears her name: Sally’s Asylum. 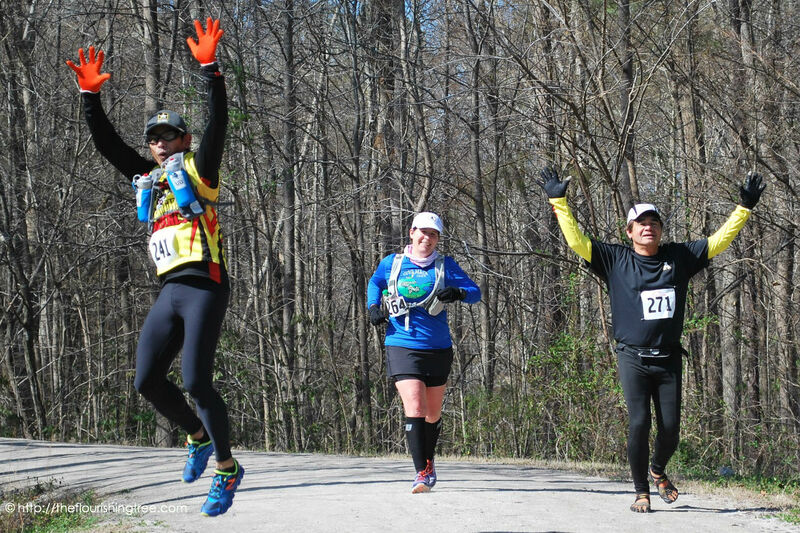 My husband volunteered at the aid station before he and I ever met, and he has also paced runners, including Sally, as they ran toward their 100-mile finish. Once we were married, I wanted to come out and meet all these crazy runners and fill water bottles and hand out food, too. I didn’t want to miss out on all the fun he was having in the dark middle of the night in the woods. We would joke and laugh with Sally and watch for Bill, who was usually running the race. The first thing you notice about Sally is her smile. It’s warm and genuine and infectious, and I think that’s just one of the reasons so many people want to be around her. She’ll probably give you a hug, and if you’re at the aid station, she’ll put you to work. But then she’ll start asking you about your own running. Sally is probably the one I have to thank (blame?) the most for my husband deciding to run the 100 miler. If I ever run even a 50 miler – which, Sally, I tell you in all seriousness I have no desire to do – I’ll be able to thank (blame?) her for putting the idea in my head in the first place. One of my favorite stories from the Bible is the account of Elijah running through the desert for a whole day before collapsing under a juniper tree and asking God to please let him die. God didn’t let him die, but instead sent an angel to care for and nourish Elijah so he could continue on his journey to Mt. Horeb, the mountain of God. (To read more about why he was on the run, and what he experienced when he got to Mt. Horeb, check out 1 Kings 18-19). 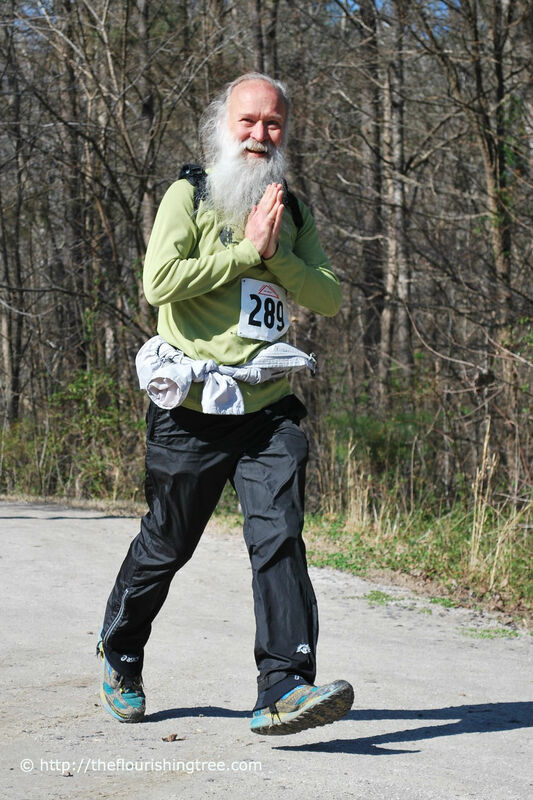 My husband admires Elijah mostly for his great faith, but he also admires his running skills and likes to refer to Elijah as the original ultramarathoner. 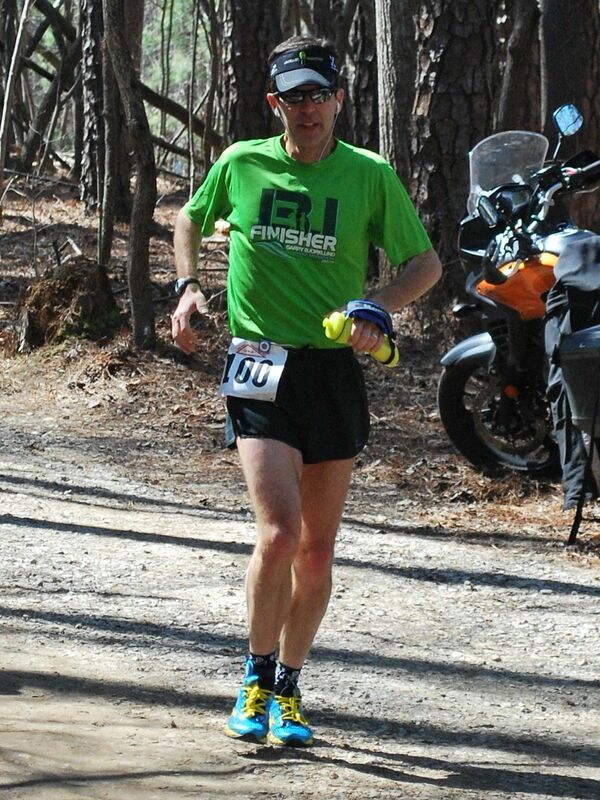 This past weekend, my husband joined the ranks of Elijah and other ultramarathoners who have run for a full day. Yep, my own true love spent a little more than 21 hours running in the woods to complete a 100-mile race. It was dark when he started out and dark when he finished, but there was a whole day’s worth of light in between. 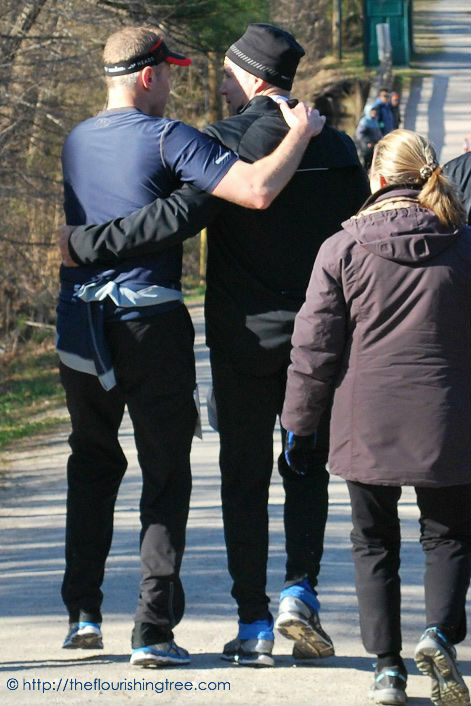 One of the things you’ll quickly learn about my husband is how important running is to him. It was his first true love, a love he found before he gave his life to Christ and an integral part of his life by the time he met me. Even when we first met, I had no idea how much running would weave itself into our marriage.